Hearts Academy Varsity Football for Homeschool and AES Students! 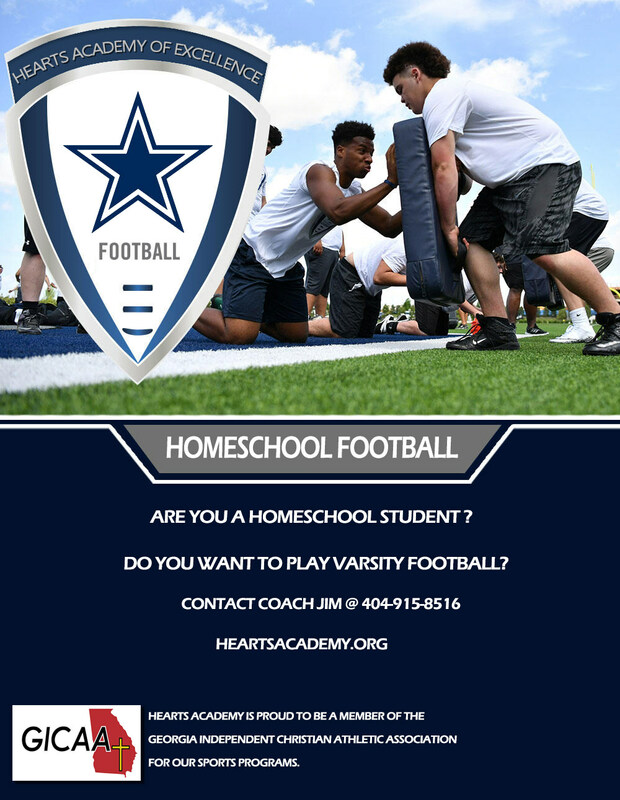 Hearts Academy, a member school of the GICAA is proud to offer the Paulding, Douglasville, Powder Springs communities Home School / AES students the opportunity to Learn, Love and Play Varsity Football for the 2018 season! Contact Coach Jim for more information!